I have long been a customer (and fan) of their carefully curated range (these pencils are the only ones worth using!) and eagerly anticipate each weeks vintage additions! 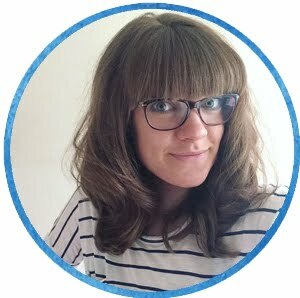 So, when I got in touch to see if the lovely folk over at Pedlars Towers would be interested in being featured in a Spotlight Post I did a real-life happy-dance when they not only answered a few questions, but also agreed to support an exciting giveaway! Read on to the end of the post to find out more about the prize and how to enter! 1. For those readers who have yet to discover it, can you introduce Pedlars and describe what you do? Pedlars is a homewares brand, which was started by husband and wife team Charlie and Caroline Gladstone. We are primarily based online, with a bricks and mortar General Store and Café just off Portobello Road in Notting Hill. Pedlars offers a curated, considered, beautifully designed range of homewares, and a huge range of vintage from all around the world. We have recently launched our Vintage Marketplace, a new venture that enables vintage dealers and enthusiasts to offer their goods for sale via Pedlars. We have a solid reputation for sourcing and selling the best vintage items and a large and eager customer base, so our aim is to expand our offer by inviting sellers to show our customers their goods. 2. Your range of homewares, stationary and gifts is so varied, yet wonderfully curated - how do you decide which pieces make it into the shop? Pedlars founder Charlie is our chief buyer and taste maker. He has a keen eye for top quality vintage and an incredibly strong sense of style. This is played out in all the Gladstone’s businesses; The Good Life Experience, their Farm Shop and their pub The Glynne Arms. We also try to source from British and European manufacturers where possible. Oh and if it’s orange, it stands a pretty good chance of making itself into the shop, Pedlars loves orange! 3. I'm becoming more and more disillusioned by the mainstream high street and increasingly wanting to support local, independent makers. Pedlars is a big supporter of British designers and makers - why do you feel this is so important? We’re interested in products that have a story to tell, and the warmth and detail that you get when you move away from the mainstream and seek out small, often one-man-band manufacturers. 4. Every Friday you launch a new vintage collection, often with a french or military connection. How do you decide which pieces become part of this, and how do vintage items influence your main collection? It’s really a case of whatever catches Charlie’s eye. And as a team, if it’s something that we would want for ourselves, we’re confident that our customers will love it too. At this stage it’s almost the other way around, our non-vintage collection complements our vintage collection, which is what people now know us for. 5. Charlie and Caroline also founded The Good Life Experience festival which takes place in Wales in September. 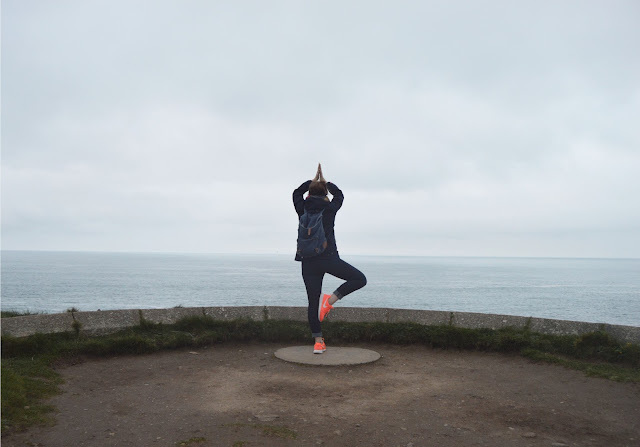 What is the Pedlars definition of The Good Life? Charlie and Caroline founded The Good Life Experience with their friends Cerys Matthews and Steve Abbott. For them, and for Pedlars The Good Life is all about good food, friends, great music, learning new skills, new crafts and perhaps a new perspective. And a camp fire, that’s important too. I love it! 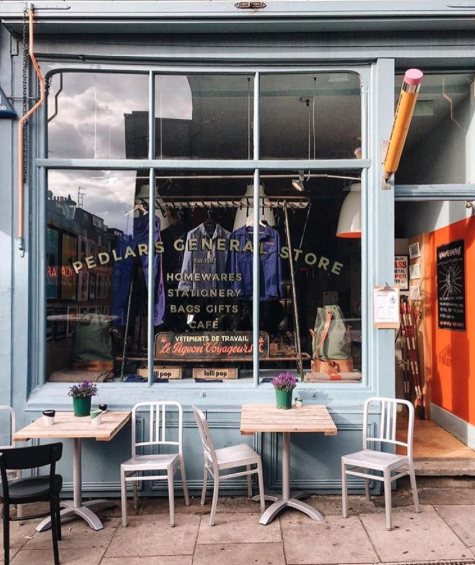 Everything about the Pedlars ethos makes me feel all warm and fuzzy (plus the cafe is big in avocado which is the way to my heart! )If you missed my post about The Good Life Festival 2016, do pop over and have a look - it was the definition of magical! I'm thrilled to be able to share a little of the Pedlars magic with you all, and they have kindly given me a set of three Military Prints to give away to one lucky UK reader! These prints are reproduction of military instruction cards that were bought at auction in the USA, and have been printed on 1950's printing presses in Yorkshire with fluorescent inks! Fantastic aren't they? I'm a bit envious that I don't get to keep them for myself actually! There are two ways to enter, and each way counts as one entry so that's two chances to win! First - Sign up to follow The Salted Tail via bloglovin or email - (you can find the links to do so on the right hand side) then leave me a comment to say you're in and would love to win! Second - Head over to Instagram and find the giveaway post. Follow The Salted Tail, like the image and tag three friends who you think might like to win! The winner will be drawn on Halloween (so thats nearly two weeks to enter and tell anyone else who you think might like to win this lovely prize!) and they will win all three, unframed prints. Once the winner is drawn I'll get in touch for your contact details and the lovely folk at Pedlars will send your prize. The giveaway is open to UK residents only! Thank you to Pedlars for supporting me in this adventure of mine - hope you all enjoyed the interview! Happy entering - and may the odds be ever in your favour!